Designed and engineered in Los Angeles, California, the Torque Audio t103z in-ear headphones are the company’s first product to the market. Read on to find out what it’s like to live with them on a daily basis! In a manner befitting a premium headset, the t103z comes with a well-appointed retail box. Inside it, you will find the headset, three interchangeable torque valves with a tool to install/remove them, a carrying case, four pairs of ear tips, a clip for attaching the headset to your clothes, as well as a user manual. As far as essential accessories go, there’s nothing missing in the retail box of the t103z. Even a picky user will be hard-pressed to find something to frown at. The Torque Audio t103z in-ear headphones sport a look which cuts a fine line between casual and premium. The headset features a blend of metal and orange polycarbonate throughout which, combined, give it a pleasantly distinctive visual character. The above said, the t103z looks really nice in the flesh. In addition to the eye-catching color scheme, the headset features a host of fine details. They include an etched in the metal Torque Audio logo, as well as quirky font to distinguish the left and the right headphone. Build quality is exceptional. In addition to looking good, the metal and polycarbonate used in the headset’s construction leave little doubt about its ability to handle daily wear and tear. The remote control and L-shaped audio jack are also finished in aluminum, thus well-sorted for heavy use. The Torque Audio t103z headphones are comfortable to live with. The interchangeable ear tips ensure that everyone will find a good fit. When wearing the Torque Audio t103z, I noticed that the headset is a tad heavier than the typical in-ear model. This is due to the predominantly metal construction of the headphones, including their interchangeable TorqueValves. The three-button remote is easy to operate – the middle button sits slightly below the other two, so changing songs and picking up/hanging up phone calls on iOS devices is hassle-free. The volume buttons unsurprisingly do not work on Android devices – only the middle button will. The headphones’ cable is tangle-free – right in line with the expectations for their segment. This is where things get really interesting. Thanks to the interchangeable TorqueValves, users are essentially presented with three different pairs of headphones once they open the box of the t103z. On every occasion, a 10mm, 16 Ohms, high-velocity, full bandwidth dynamic driver sits in charge of sound output. The trio of bundled TorqueValves come in an aluminum tray which doubles as an installation tool – it tightens the valves to the headset. Each set of valves is color-coded – red stands for neutral sound, yellow for bass-dominated experience, while black puts the accent on the highs. The red-colored TorqueValves are the ones you will probably use the most. Also known as reference valves, they provide neutral sonic experience which the user can modify via the EQ settings of his/her device. Yellow-colored TorqueValves stand for bass-heavy sound experience. They work exactly as advertised by bringing softness across the entire range and head-pounding bass at high volume. I found them really pleasant to use, though they are likely not going to be the primary choice for a committed audiophile. The black-colored valves are focused solely on bringing out crisp highs. As expected the lows are all but gone when the black TorqueValves are in action. Therefore, I reckon that their use will be required only in specific situations. Torque Audio will bring an extra trio of TorqueValves with fancier sound profiles in Q1 2014. They will be sold as an additional accessory. Well-designed, solidly-built, and providing unique sound experience. 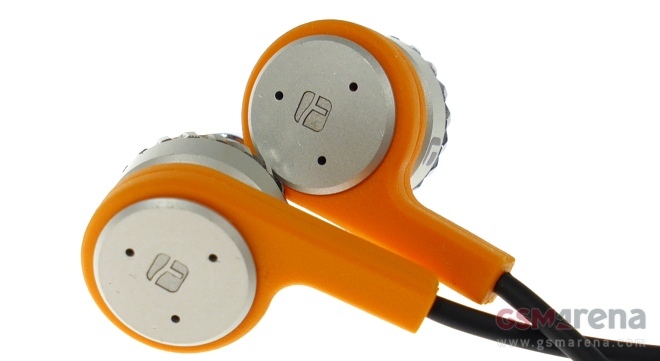 The Torque Audio t103z in-ear headphones are a great first product of the young company. The sonic experience is memorable as well. The bundled TorqueValves are certain to provide the right sound for every user. The upcoming additional valves on the other hand, add further to the overall appeal of the headset. The Torque Audio t103z headphones are priced at $179.95. If you are on the market for premium in-ear headset and your budget allows it, I suggest you take a hard look at the t103z. You can find the headphone online in specialty stores such as B&H.